ICC Women's World T20 will begin in West Indies on Friday with India opening their campaign against New Zealand at Guyana. The Indian team will be led by skipper Harmapnreet Singh. A young Indian squad will aim to emerge from the shadows of a winless past when it launches its bid for a maiden title with a tough opener against New Zealand in the first standalone Women's World T20. 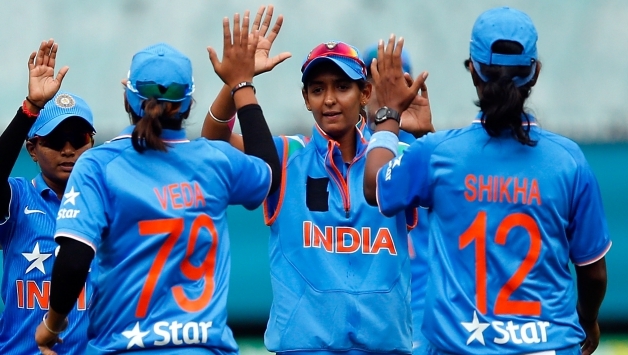 This is the first standalone World T20 for women after being held alongside the men's event in the past editions. In the lead-up to the World T20, India have hit good form, beating hosts Sri Lanka before blanking Australia A at home. What should give them additional confidence going into the opener is the wins against reigning champions West Indies and England in the warm-up matches. "The bowlers too have improved massively in last three months, they are clear with their plans. And fielding wise, we are 10 per cent better than in the last World Cup," added Mandhana, who will open alongside veteran Mithali Raj. While Mandhana's performance will be crucial at the top, teenager Jemimah Rodriguez, Tanya Bhatia and Harmanpreet will make up the middle order. The spin department, led by leggie Poonam Yadav, is India's strength while the pace department lacks experience after the retirement of veteran Jhulan Goswami. India have failed to go past the group stage in the previous three editions and they will have to play well consistently to advance to the knock-outs. "They know that if we grow as individuals, the team grows, the Indian women's cricket grows, and people will start noticing the game in India and around the world," Powar told the ICC's official website. "When you enter such tournaments, you have to break records, get noticed as an individual and team also, so I'm looking forward to that," he added.